April 27, 1931: Lum and Abner debuted on NBC. Lum and Abner was created by Chester Lauck and Norris Goff. The program was a American radio network comedy program and was aired from 1931 to 1954. Lauck and Goff grew up in the small town of Waters, Arkansas. They made a fiction story base on their life experience since they were in their home town. The show attracted most of audience and became one of popular program at that time. Lauck and Goff had known one another since childhood and attended the University of Arkansas together where they both joined the Sigma Chi Fraternity. They performed locally and established a blackface act which led to an audition at radio station KTHS in Hot Springs, Arkansas. Before the audition, the two men decided to change their act and portray two hillbillies, due to the large number of blackface acts already in existence. After only a few show in Hot Springs, they were picked up nationally by NBC. Lum and Abner was sponsored by Quaker Oats and ran until 1932. 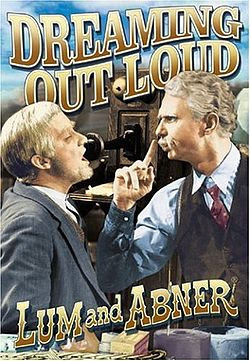 Lauck and Goff performed several different characters, modeling many of them on the real-life residents of Waters, Arkansas. Hi folks! "Lum and Abner" actually made their radio debut on April 26, one day earlier. And it was on a local station, KTHS in Hot Springs. It wasn't until several weeks later that they made the move to NBC in Chicago. Thanks! April 30: Happy Birthday Eve Arden!